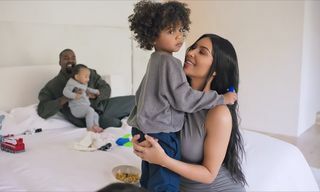 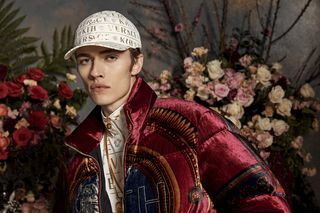 Following yesterday’s look at the women’s portion, KITH returns to showcase the men’s campaign surrounding its upcoming Versace collection. 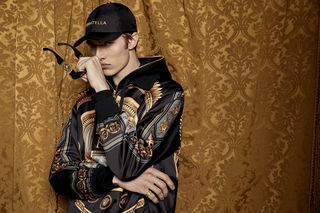 Bella Hadid was chosen to debut KITH x Versace women’s, while Lucky Blue Smith is pictured above in the men’s styles. 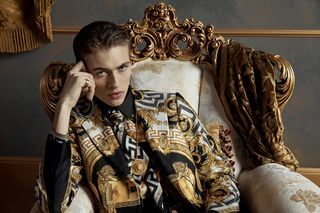 Lucky Blue for Kith x Versace. 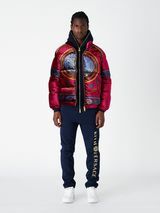 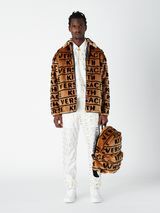 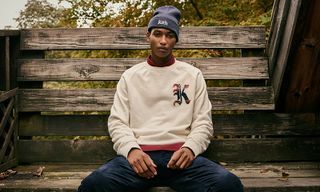 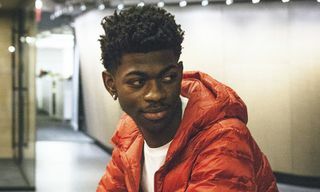 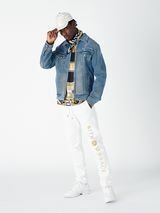 KITH and Versace’s collaborative men’s capsule encompass outerwear, formal wear and sportswear, featuring camel hair topcoats, velour puffer jackets, silk blazers, denim zip jackets, nylon track suits and hoodies. 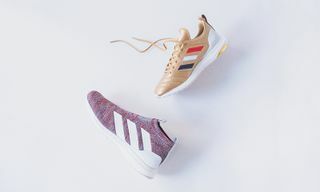 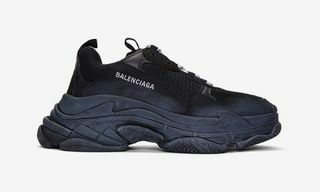 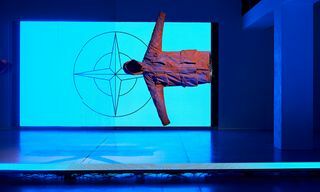 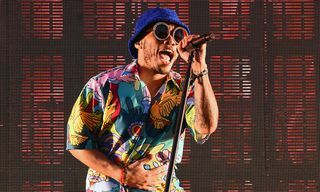 The project also includes footwear, as the ’90s-era Amico Trainer returns in a low-top look in five variations: two leather mids and one pony hair mid, as well as two leather lows. 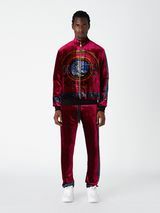 The Chain Reaction is also offered in velour, with zipper and Velcro closures. 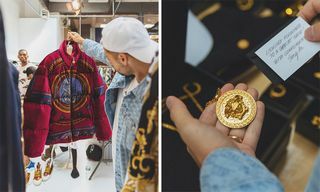 Ronnie Fieg was allowed to dive into Versace’s unrivaled archival prints for the collaboration, in addition to redesigning the Medusa for the first time ever. 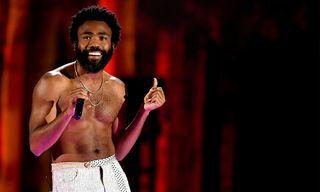 In total, KITH x Versace consists of more than 100 pieces. 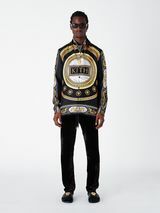 KITH designed the apparel for the collection, while Versace handled the luxe fabrications. 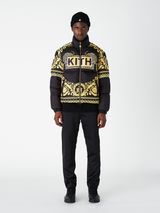 You can look forward to KITH x Versace launching February 15 at all KITH shops and online at 11 a.m. EST. 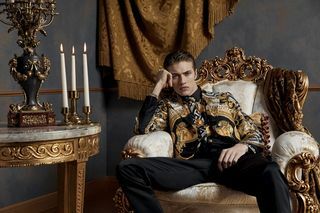 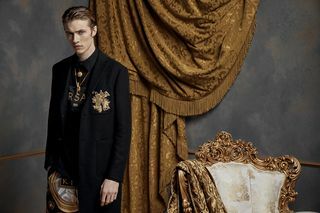 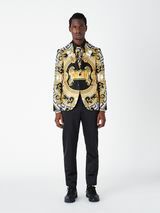 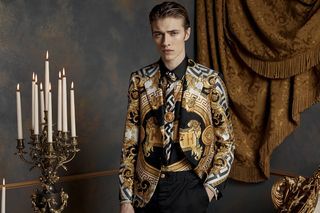 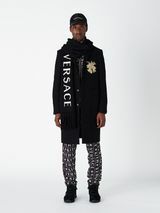 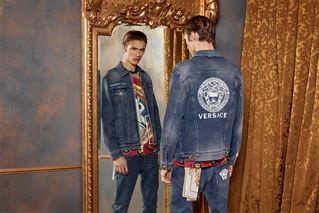 Additional availability will be through select international Versace flagship stores.